HOLLYWOOD - NOVEMBER 20: Writers march on Hollywood Boulevard in support of the Writers Guild of America strike on November 20, 2007 in Hollywood, California. The Writers Guild of America (WGA) is a labor union whose essential purpose is to provide support services and benefits to members. Those services include ensuring that writers receive proper payments, credit, and residuals for their work. The WGA also has a script registration service which allows writers—both members and non-members—to register their work in order to protect their intellectual property. The WGA's mission to ensure that writers are properly compensated and credited for their work has sometimes put the organization and its members at odds with Hollywood studios and producers. The WGA is responsible for finalizing screenwriting credits for all productions by the major Hollywood studios. The WGA consists of two affiliated organizations: Writers Guild of America East (founded in 1951) and the Writers Guild of America West (founded in 1954). Both organizations date back to earlier organizations that represented radio writers, playwrights, television writers, screenwriters, and other types of professional writers. Because many actors and directors also write screenplays, many are members of the WGA. There have been five strikes in the history of the WGA. Each strike has been almost entirely focused on the demand for compensation for original material that was rebroadcast in new media or released on home media. 1960: The WGA went on strike over disagreements with film studios about revenue sharing after previously-released theatrical movies were aired on television. The WGA won writers a percentage of income from television sales as well as pay increases for film and television work. 1981: Similar to the 1960 strike, the WGA went on strike over disagreements with film studios about revenue sharing once previously-released theatrical movies were released on pay-per-view and home video. The studios agreed to a deal that gave writers a 2 percent cut of pay-per-view and home media sales after a certain revenue threshold (approximately $2.5 million for a two-hour film). 1985: At only two weeks long, this strike was the WGA's shortest ever. The strike occurred when producers proposed new terms to the 1981 strike deal that were less lucrative for the writers. 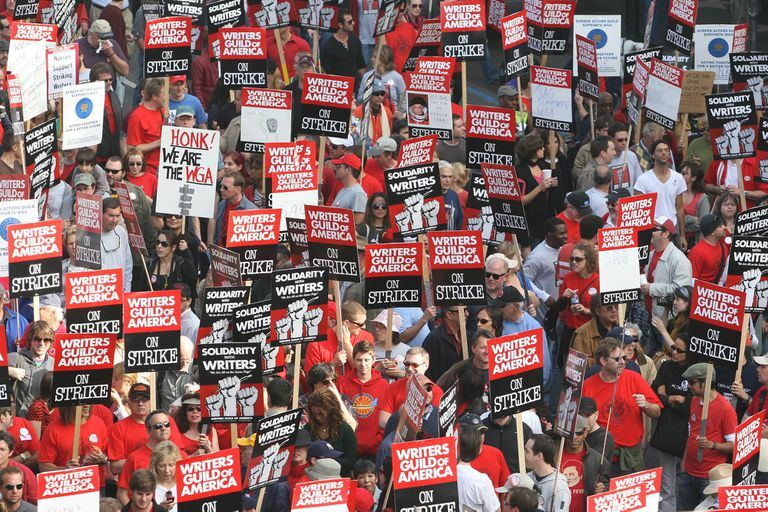 The WGA agreed to the new terms to end the strike. 1988: In what became the longest strike in WGA history, the WGA went on strike over a number of issues unresolved from the previous two strikes, including demands for increased residuals for television syndication. The length of the strike delayed production of a number of television programs for months. In the end, the WGA and the studios finalized a residual agreement. 2007-08: With the popularity of new home media formats like DVDs increasing and streaming in its infancy, the WGA again demanded compensation from these new revenue streams. The WGA won a modest residual percentage on downloads and streaming. Infamously, the 2008 Golden Globe Award winners were announced via press conference when the WGA would not allow its writers to write for the show and, in solidarity, the Screen Actors Guild also agreed to boycott the show. However, the WGA allowed its members to write for other award shows that year, including the Screen Actors Guild Awards and the Grammy Awards (the strike ended before the 2008 Oscars aired, so that ceremony was unaffected). Like the 1988 strike, it led to postponements and cancellations of a number of TV series and films. The WGA is also known for hosting the Writers Guild of America Awards, which debuted in 1949. Initially, the WGA Awards were for film only and were generally genre-specific (e.g. Best Written Western, Best Written Drama, Best Written Comedy). By 1985, the awards were limited to just two—Best Original Screenplay and Best Adapted Screenplay. In 1996, categories for television and radio were added. A video game category was added in 2008. Today, the WGA Awards recognize a wide range of written media, and in 2019 WGA Awards were given out in 30 categories. Perhaps the most controversial aspect of the WGA is its screenwriting credit system, in which the final screenwriting credit for a film or television program is determined by the WGA. Even if dozens of writers contribute to a screenplay, which is not uncommon in Hollywood, the WGA determines which writer or writers will receive on-screen credit for the screenplay. 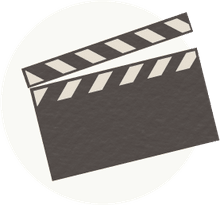 There are examples of writers who have worked extensively on films that have rarely, or never, received on-screen credit. For example, screenwriter and screenwriting instructor Billy Mernit is a well-known Hollywood "script doctor" who has contributed to dozens of Hollywood screenplays (including hits Bridesmaids and Trainwreck) but has never received on-screen credit for his screenwriting work. These credits are also important for determining a writer's status in the WGA. Because of this, some writers object to the writing credits decided by the WGA and enter arbitration. Others simply object because they believe others are receiving credit for their work. One recent example of WGA arbitration is the screenplay of Jurassic World (2015). Although the screenplay for Jurassic World was written by Derek Connolly and Colin Trevorrow (the latter also directed the film), it was deemed by the WGA that several ideas, such as a genetically-engineered dinosaur (Indominus rex in the final film), had been developed by screenwriters Rick Jaffa and Amanda Silver in their unused screenplay for Jurassic Park IV. Trevorrow and Connolly had done a complete rewrite of the Jurassic World screenplay. Though the two writing teams did not work together, the WGA awarded "Story by" credit to Jaffa & Silver, and screenplay credit to "Rick Jaffa & Amanda Silver and Derek Connolly & Colin Trevorrow" (note that the WGA considers the use of "&" to indicate a writing team and "and" to indicate writers who worked independently on the same project). Connolly and Trevorrow were unhappy with the result, but the WGA's ruling was final. While there are many instances of disputed writing credits, ultimately all members of the WGA agree to accept any credit ruling that the WGA arbitration process (and any subsequent appeals) hands down. However, this has led to some screenwriters to go into dispute with the organization. For example, when George Clooney was denied a writing credit on his 2008 film Leatherheads despite insisting that he rewrote almost the entire screenplay, he went "financial core" with the WGA. That essentially meant that he resigned from the WGA in all but name.